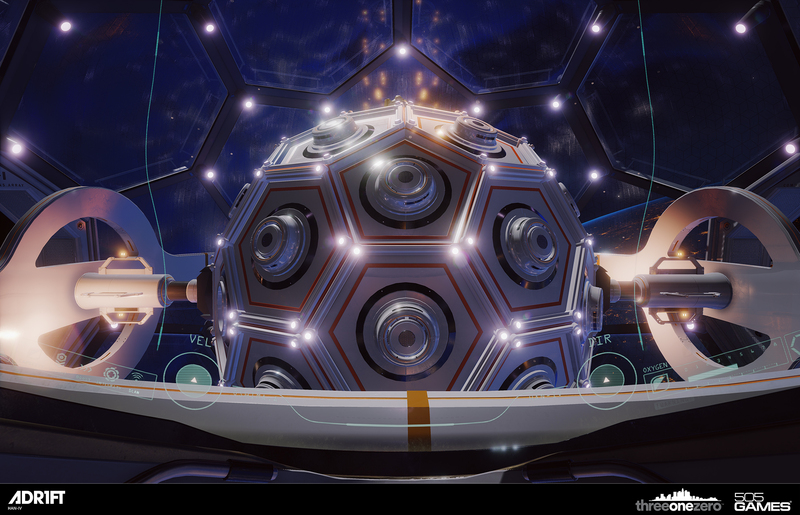 ADR1FT from developer Three One Zero and published by 505 Games is living proof that internet drama can occasionally result in a good thing. Adam Orth, formerly of Microsoft, kicked the hornet's nest when he told gamers to "deal with" the much-maligned DRM scheme originally announced for Xbox One. 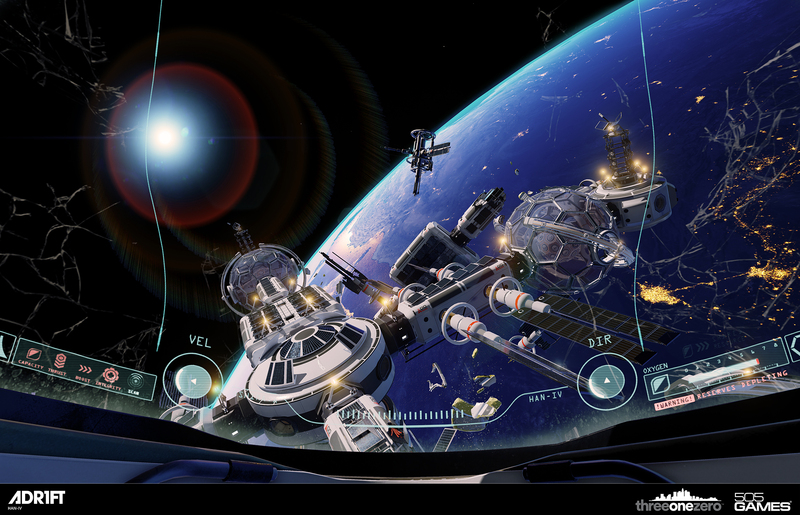 It was an unwise move in the context, no doubt, but his resignation from Microsoft eventually led him to help found Three One Zero, and begin work on ADR1FT, which serves as a sort of elaborate metaphor for the complete destruction, and ultimate rebirth of his career in gaming. Don't worry, though, at least from what I saw in the 10-15 minute demo, it's not an in-your-face, "learn these life lessons or else" kind of metaphor. It's more like a "you'll have no idea this is supposed to relate to anything outside of the game unless you spend time investigating" sort of approach. 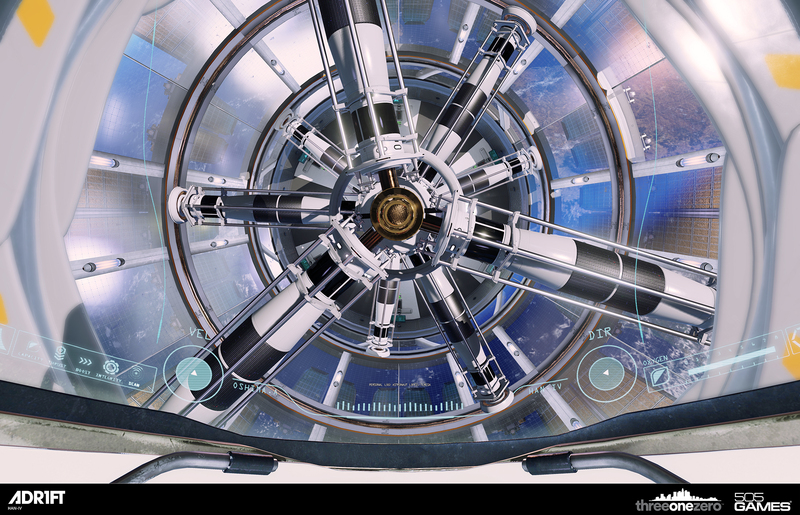 ADR1FT, aside from being incredibly tedious to type over and over again, is an incredibly interesting concept for a game. It's a story-based survival game in zero-gee. You play as the commander of a space station who wakes up to find the station in ruins and no memory of what happened. Your only objective is to survive by repairing the escape module and getting back to Earth in one piece. As you might imagine, it's not going to be easy. Without the life support systems in the space station, your primary resource is oxygen, which is in short supply in general, but comes with the added complication that your suit can only hold so much of it at a time. You won't be able to stock up on O2, and coast your way to the end, rather you'll need to make a point to collect the O2 canisters along the way, as you explore the debris, piecing together what happened, and desperately trying to find your way back home. Being set in orbit around the planet, the atmosphere (Editor's Note: That's not funny.) is established primarily by broad views of segments of the ruined space station, as well as the very minimal audio cues as to what's going on. You'll mostly be hearing the sounds of your own breathing as you float gently through the corridors and across terrifying gaps in the structure, which threaten you with the vast emptiness of space. As you run out of oxygen, your breathing becomes labored and ragged, and the sense of urgency is impossible to ignore. 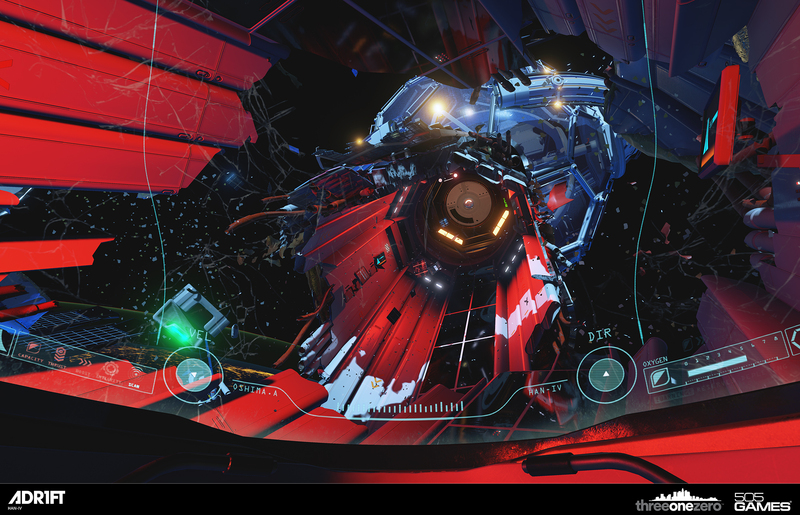 The demo was fairly brief, at about 10-15 minutes, so it's impossible to say exactly how well ADR1FT will hold up over the course of multiple lengthy gameplay sessions, but with the setting and story as they are, I can say with confidence that I am intrigued, even hopeful, at the prospects of the game. I've killed a lot of enemies - big and small - over the years in the name of survival, but when your only enemy is the desolate emptiness of space, well, it gets a lot harder to punch your way to the end.